Above sticker is an example. Congratulations on winning a GRAND PRIZE Award in the Chanticleer Writing Competitions! Now let the world know with our eye-catching gold foil book stickers -- We know a promotional sticker can make a difference in sales. A consumer is automatically drawn to the sticker, and there's a good chance he/she will pick up the book and at least look at the first few pages. Oval sticker 1.5" x .75"
150 stickers per order. Order more than one batch at a time to save on postage and handling costs! Great for promoting blogs and contests, too! Stickers are $48.00 U.S.D. per 150 stickers plus mandatory Bellingham, Wash. sales tax. Includes shipping within the USA. International Rates will apply if delivery is outside of the US postal delivery system. You will be asked for this information upon checkout. Thank you! We will verify your order with our winners' listing. Please expect 4 to 6 weeks shipping time. If you want to reorder First Place Award Winner stickers, please visit the First Place Awards Page. 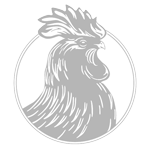 Join the Chanticleer International Community of Authors and Readers! Click here to join the Chanticleer Community! A collaborative community of authors and aspiring writers.